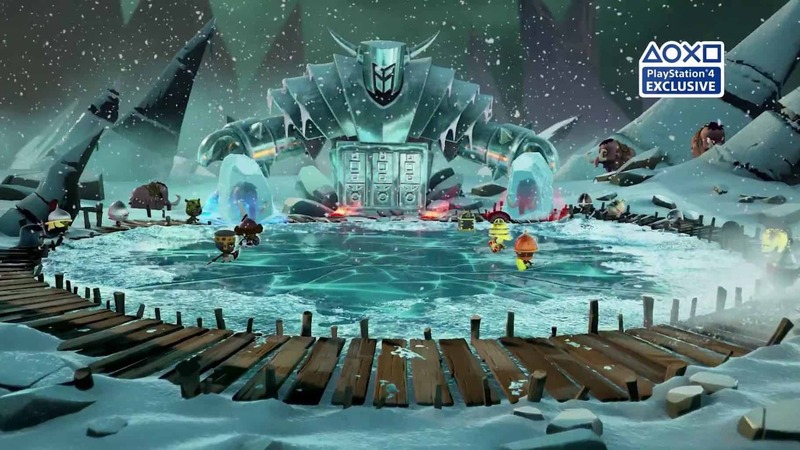 Recently released on PS4 is the mobile game World of Warriors. A popular title on iOS and Android, the game is published by Mind Candy, who also created Moshi Monsters. Whilst the story isn’t that deep, the object of the game is to grind through 2 on 2 battles in different areas, earning enough collectables to craft better weapons, level up current warriors and unlock new characters with better stats to make life easier for the end stage boss fights. The game’s introduction will gently ease you into the hack and slash combat, teaching the basic moves and controls, and explaining the meters for health and stamina. During combat, you can find food that replenishes health or glowing orbs, which if you collect 3 will give your Warrior the opportunity to perform their strong attack for a short period of time. The game also emphasises an element system, much like Pokemon, however, there are only 4 element types; Water, Fire, Earth and Air. So any one element will be strong and weak against another. Even though the game originates from the mobile market, purchasing the full game on console removes microtransactions and the irritating pop-up ads. The only downside is the reduced character roster. The mobile version has been out for a few years and has amassed over 140 playable characters, whereas the PS4 version was released with only 40. It’s likely this number could increase with regular updates, but in the meantime, I suppose it will give players a chance to master the smaller amount of Warriors. It may be unimportant to some, but it was a pleasant surprise to discover the game’s developers had made use of the DualShock 4 built-in speaker. Anytime you pick a Warrior for battle, your character will say a phrase that beams through the controller. I know it’s a small feature, but it interests me as not enough games use the functions offered by the DualShock 4. 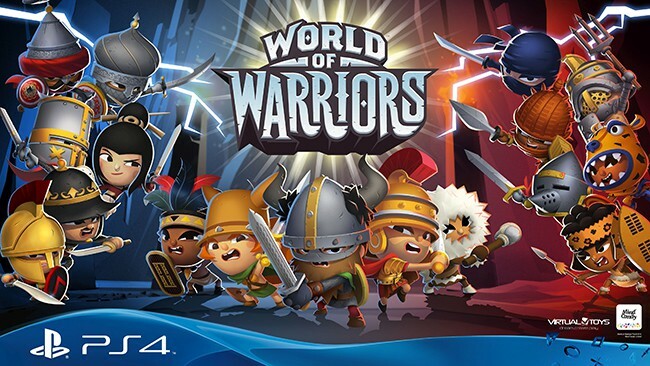 The PS4 port for World of Warriors should appeal to kids who have already played the game on their mobile or tablets but are looking for some couch co-op play and a traditional control scheme. It’s a beautiful looking game with a wide array of arenas for battle. Battles are short enough to warrant a quick pick up and play session.